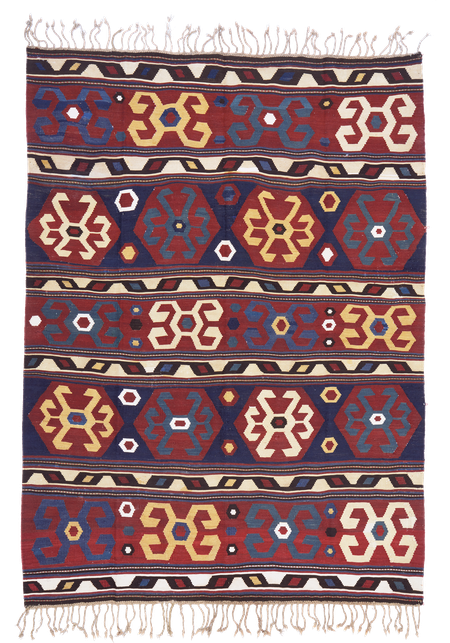 Great elegant and powerful antique Shirvan kilim. Original endings and fringes with small braids. Wonderful natural dyes colours and good condition (the whole rug have received a thorough professional restoration). Collector‘s piece.